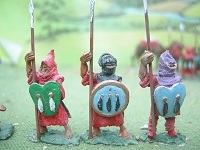 This page tells you what we have just added to the site, and has "thumbnail" versions of any new pictures. 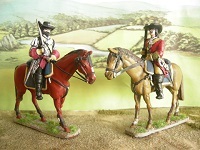 We have added pictures to several of our Ranges. 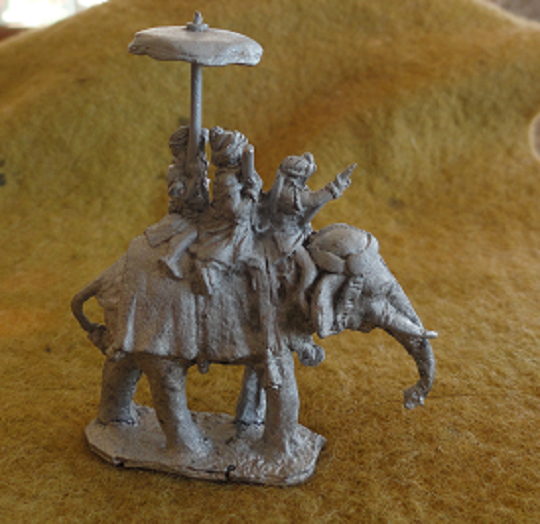 The Anti-Dumbo Cart is almost finished and we have started on some new 28mm Colonial Abyssinian Masters. 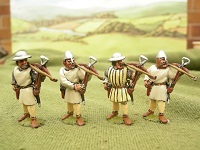 We have finally finished updating all of our ranges to include a shopping cart. 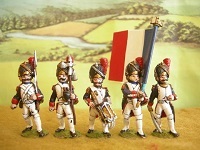 The cart can be used either with your Paypal account or your card (by choosing the pay without a PayPal account option). 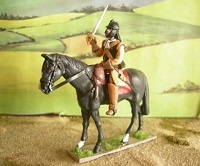 You can still send a letter and a cheque payable to Ian Kay. 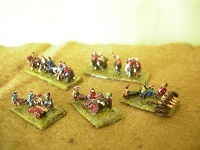 On the workbench currently we have 15mm & 28mm Roman anti-elephant carts. 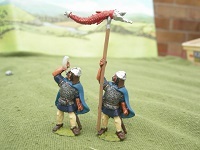 If you would like to save on postage you can have an order delivered to the Salute show, pick up at the Eureka Miniatures Stand. 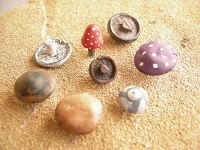 Please get your order to us by Wednesday Noon. 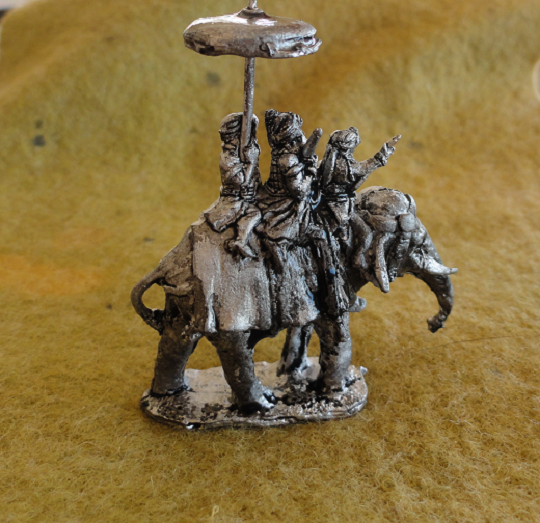 We have remodeled our 15mm Indian Generals Elephant (RC13) in the Macedonian and Punic Wars Range. 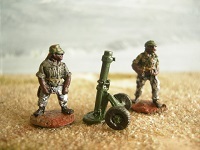 We have finished adding a shopping cart function to the 28mm Range and will be moving onto 42mm next. 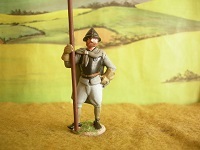 We have added new figures to our 28mm Personalities range. 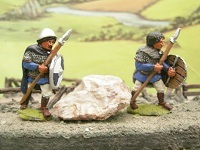 We have added new figures to our 28mm Moderns range. 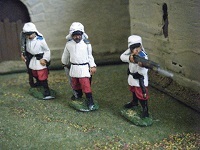 We have now finished our 15mm Crimean French Range. 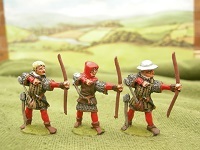 We have also added pictures to our 25mm Medievals and Fantasy Ranges. 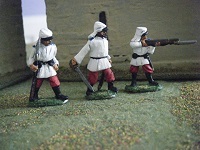 We have now added several figures to our 15mm Crimean French Range. 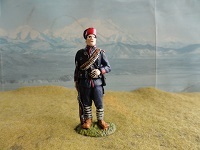 Chasseur, zouaves, cavalry and artillery to follow. 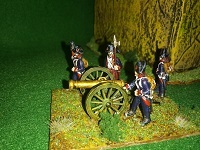 We have also finished adding a shopping cart function to the 54mm Range and will be moving onto the 28mm Range next. 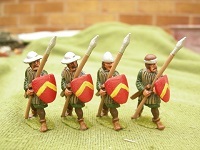 Here's a look at the workbench, new 28mm Modern figures, these and more will be released in a couple of weeks. 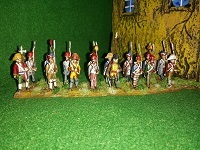 Our 15mm Crimean French are also nearly finished. 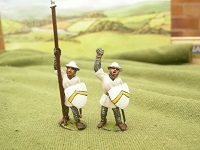 We have also added some pictures to our 42mm Renaissance Range. 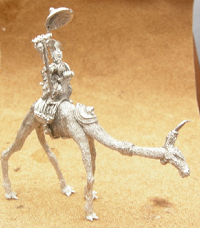 We are trialing a new way of working out postage costs on our shopping cart. 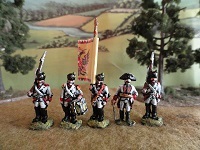 All prices include UK postage, international postage will be applied automatically at the checkout page. 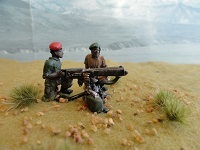 Please email any issues or queries to ian_kay@sky.com. 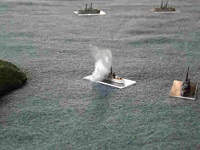 We have added a river pack (using our already available road sections) to our 2mm Scenics Range. 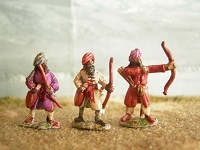 We have also added several figures to our 15mm Crimean War Range. 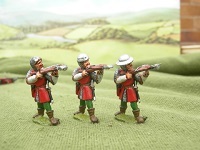 We have also also finished adding a shopping cart function to the 15mm Range and will be moving onto the 20mm Range next. 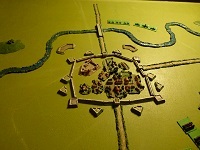 A picture has also been added to our 2mm Scenics Range and 15mm American Indian Range (below). 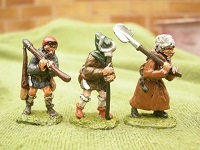 We will be attending the Vapnartack show in York on 3rd February. 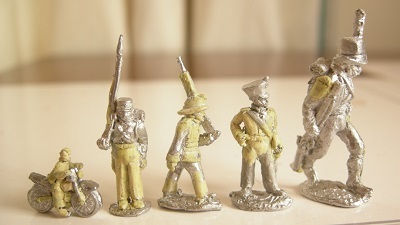 We won't be bringing all of our ranges with us so if there are any ranges you'd like to have a look at please let us know in advance. 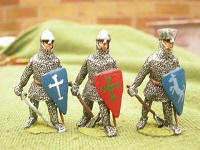 Or you can pre order figures and get a 10% discount, payment on the day is fine. 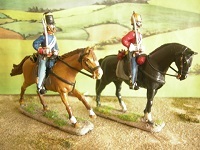 Please place these orders by emailing ian_kay@sky.com as the cart prices include postage. 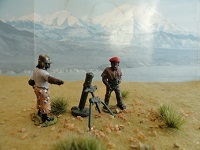 Please place all orders by the Wednesday before the show. 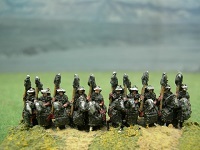 We have also added to our 15mm Crimean War range and 54mm Empire Multi-part range. 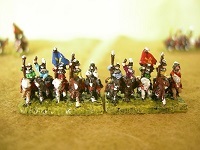 Here's a look at the workbench, we've started on 15mm Crimean French and Turkish figures. 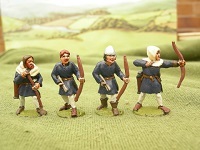 We have also added pictures to our 2mm 20th Century Range, 28mm Revolutionary Wars Range and 15mm Dark Ages Range. 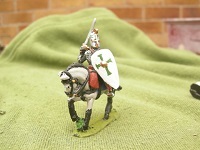 Time to dig out the trusty scalpel and Milliput again. 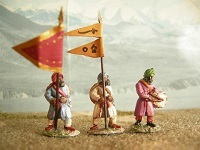 Soon-ish we'll be releasing 15mm Crimean war Turks and French, and Aztecs. We wish all our excellent customers a very happy Christmas and new year. 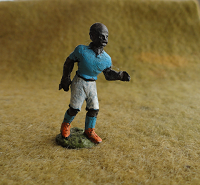 Let's all keep on enjoying this brilliant hobby throughout 2019 and beyond! 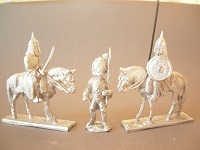 We have really finished our 20mm Early Napoleonic Austrian range now! 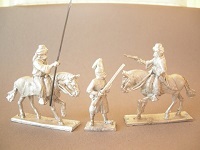 Here's a picture of them before they went into the mould (Left hand horse had yet to have his bridle finished). 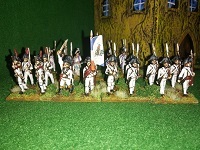 We have also added pictures to our 28mm Seven years war , and 20mm Spanish war pages. 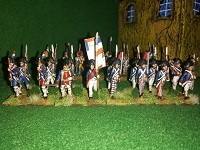 We have finished our 20mm Early Napoleonic Austrian range. 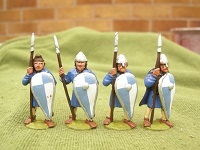 We have added a few pictures of the previous releases and forthcoming cav. 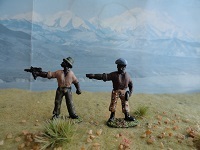 Grenzers, cav and artillery will be out soon. 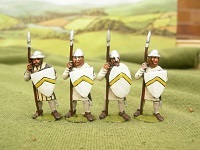 We have added to our 2mm Scenics range. 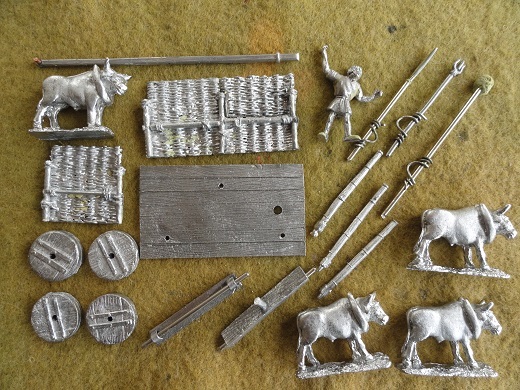 New 2mm railway items will be released within hours! 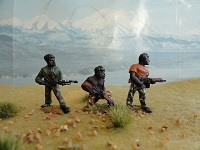 We haven't added anything to the range for a while, as i've been busy setting up my new wargames room. 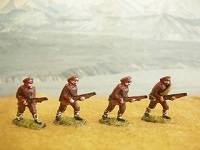 It's now pretty much done, so we've added to our on-going 20mm Colonials range. 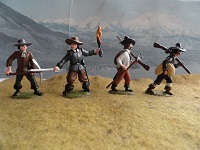 Also, on the workbench we have a 6mm Mushrooms and other essential scenic pieces, and a 30mm revolutionary inf figure firing musket. 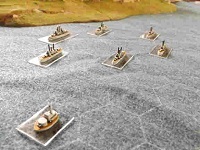 And, we have added pictures to our 6mm WW1 aircraft, 15mm League of Augsberg, 20mm French and Indian wars and 54mm Renaissance pages. 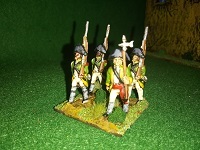 We have added a picture of it, aswell as adding pictures to our 20mm Colonials page. 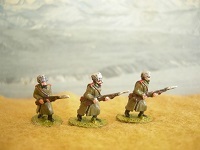 We have added a picture of them , as well as pictures of our new 28mm Colonial Russians in Tashkent figures. We are gradually entering the 21st century, and converting our website to a shopping cart type. 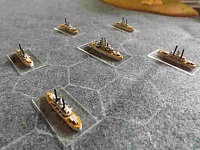 We're starting with 2mm and moving up. 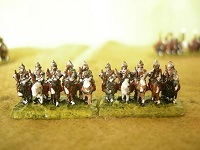 Fans of 54mm may be in for a bit of a wait! 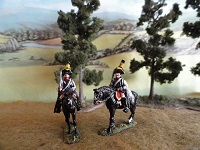 We have also added pictures to our 20mm Moderns 54mm Renaissance and 54mm Crimean war pages. 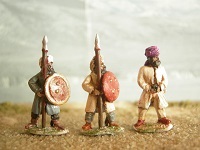 We have added a couple of figures to our 28mm Revolutionary wars range. 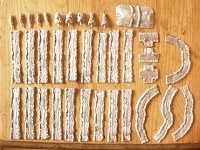 Here's a look at what's on the workdiningtable. 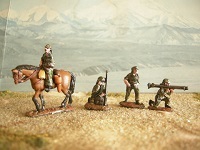 A 10mm Motorcyclist, 20mm Sikh wars Brits, a 20mm modern royal marine and a 28mm Napoleonic British marine. 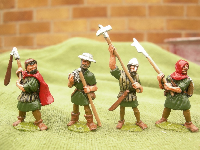 We have also added pictures to our 6mm Civilians and Italian wars pages, 15mm American Indians, 20mm scenics, 25mm Medieval, Renaissance and Naspoleonics, and 54mm Ancients pages. 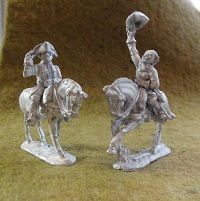 We have added to our 30mm Early Napoleonics range. 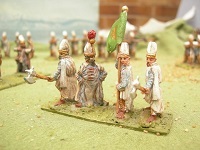 We have added pictures of them , and added pictures to our 2mm scenics, 15mm Balkan wars and 15mm 1870-1918 pages.